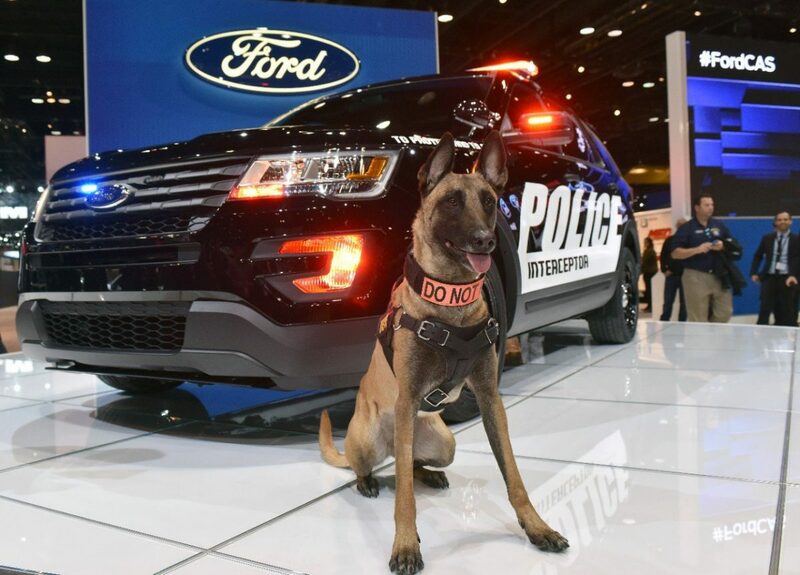 When a police dog unveiled Ford’s new Interceptor SUV at the Chicago Auto Show, the company also introduced their police advisory team — law enforcement professionals who had spent almost two years providing direct input into the development of their vehicle, the successor to the nation’s largest selling police vehicle. The Interceptor utility is America’s only pursuit-rated midsize utility vehicle; and both the utility and its sedan version are the only pursuit-rated vehicles with standard all-wheel drive. 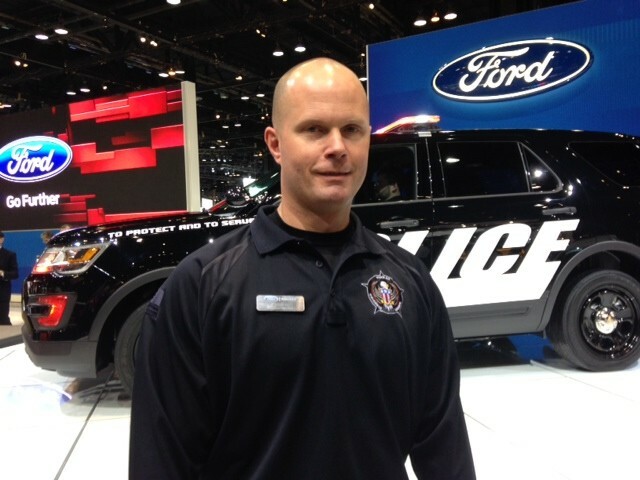 Wayne Nero, the Georgetown, Texas, chief of police, was a part of that team, meeting with other law enforcement pros and the Ford internal team two or three times annually to critique and recommend features and accessories designed to take the vehicle into the future. In the space between meetings, each of the participants emailed their ideas in so that there could be faster progress on dealing with trending issues. Nothing was left to chance. The advisory board was created in 2000 and is comprised of 25 panel members that rotate every three years. In addition to input throughout the process, they also serve as the pilot group for any products, programs and services that address this market. The 2016 Interceptor has a new body design both front and rear, and changes have been made to the headlamps, instrument panel and enhanced electrical system for more efficient electrical load distribution. Nero explained that the Surveillance Mode Technology is one of the most important new features since it warns the driver when someone approaches the rear of the vehicle. Upon detection, the driver’s window automatically raises and all doors lock. Ford is the first with this new feature, and the police chief said that it has the capability to save lives. Other important improvements include StabiliTrac and AdvanceTrac for safer pursuits. “I’ve been impressed with the attention to detail, cutting edge innovation and 24-7 reliability that’s been engineered into the Interceptor,” Nero said. He will rotate off the advisory panel this year, but would welcome the opportunity to participate in the future, he added. The new mid-size utility features a standard 3.7L V6 with 304 horsepower and 279 lb.-ft. of torque. There is also an available 3.5L EcoBoost V6 the makes 365 horsepower and 350-lb.-ft. of torque. Both are mated to standard all-wheel drive for low-speed traction and high-speed handling and stability. The standard six-speed transmission has the Pursuit Mode integrated into the system and, when it detects an aggressive driving situation based on brake line pressure, deceleration and lateral acceleration, it automatically kicks in. A vehicle-specific enhanced cooling system is part of the package; and the powertrain mounts, subframe mounts, hubs and bearings are also Interceptor only. Even the tires are specifically designed to pursuit standards. The unibody construction, which was adopted prior to the new vehicle remains the same, but ballistic shields build to Level III specifications of the National Institute of Justice Standards are factory installed in driver and passenger doors. All of the technology bells and whistles are here, including available blind spot information system, cross traffic alert and reverse sensing. Along with hands-free communication through Sync, the entire package is designed to keep police officers and the people they protect safer than ever.